Christopher G. Beck, an associate, practices in the area of international and domestic taxation, planning, and controversy. Prior to joining the firm, Christopher focused his practice on representing individuals and businesses before the Internal Revenue Service and state taxing authorities during audits, collections, and appeals. Christopher is a graduate of the University of California, San Diego (B.A. 2003), New England School of Law (J.D. 2006), and Boston University School of Law (LL.M. Tax 2007). While at New England School of Law, Christopher was the Managing Editor of the New England Journal on Criminal and Civil Confinement. 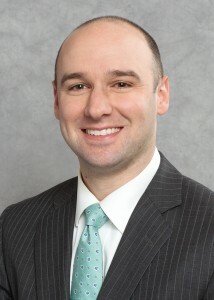 Christopher is admitted to the Massachusetts Bar, the United States Tax Court and is a member of the Boston and Massachusetts Bar Associations.